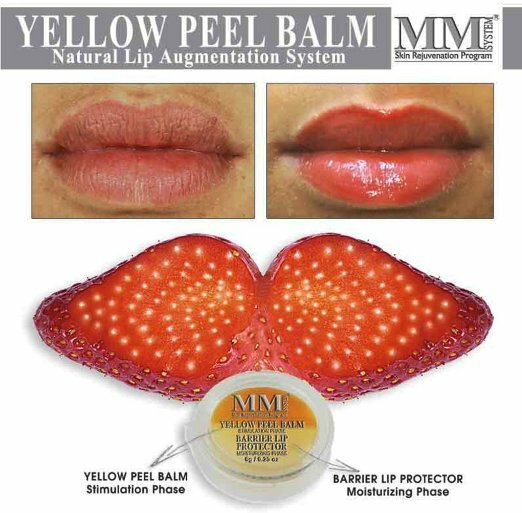 Mene & Moy Yellow Peel Lip Balm is a two phase system to enhance and plump the lips without the use of injectables. First of all, wash the lips with an appropriate cleanser and water, pat dry with a towel. Ensure that all traces of lipstick and make-up are removed. Apply the Yellow Peel Balm sparingly to the upper and lower lip using the tip of a clean finger. Do not apply to the moist corners of the mouth. We then recommend applying a lipstick containing a Sun Protection Factor. Continue to re-apply the balm every hour up to six times per day, it is not necessary to wash the lips for each application if there is no lipstick or make-up present. Continue this process until you have obtained your desired results. After completing Phase 1, use the Barrier Lip Protector cream several times a day for the next 2-3 days and ALWAYS at night during Phase 1. To maintain the results after the Moisturising Phase, continue to use the Yellow Peel Balm indefinitely 2-3 times a day. 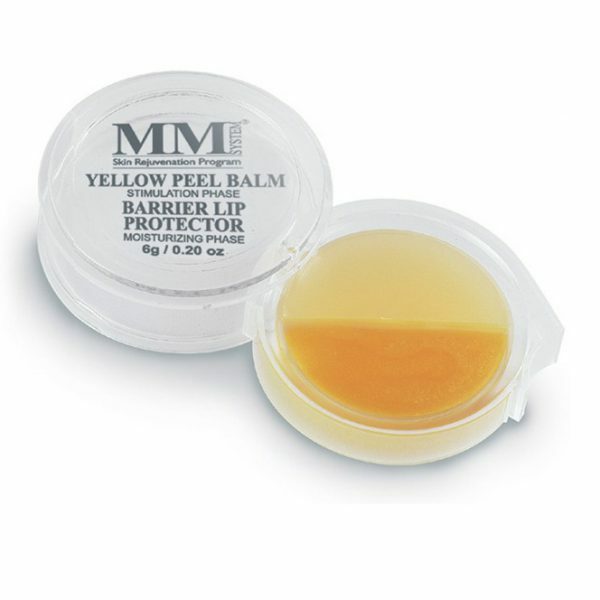 Use Barrier Lip Protection as required whenever the lips feel dry or sensitive. Phase 1: First of all, wash the lips with an appropriate cleanser and water, pat dry with a towel. Ensure that all traces of lipstick and make-up are removed. Apply the Yellow Peel Balm sparingly to the upper and lower lip using the tip of a clean finger. Do not apply to the moist corners of the mouth. We then recommend applying a lipstick containing a Sun Protection Factor. Continue to re-apply the balm every hour up to six times per day, it is not necessary to wash the lips for each application if there is no lipstick or make-up present. Continue this process until you have obtained your desired results. Phase 2: After completing Phase 1, use the Barrier Lip Protector cream several times a day for the next 2-3 days and ALWAYS at night during Phase 1. Maintenance: To maintain the results after the Moisturising Phase, continue to use the Yellow Peel Balm indefinitely 2-3 times a day. 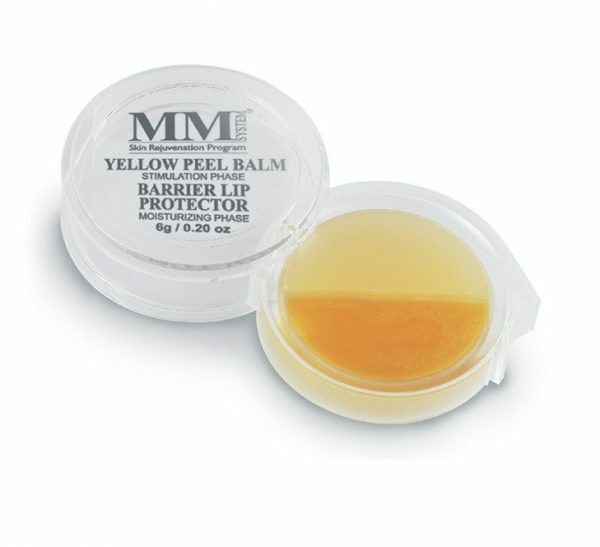 Use Barrier Lip Protection as required whenever the lips feel dry or sensitive. Petrolatum, Hydrogenated Polyisobutene, Beeswax, Ethylene/Propylene/Styrene, Copolymer, Butylene, Glycine, Soja (Soybean)Oil, Triticum Vulgare (Wheat) Germ Oil, Simmondsia Chinensis (Jojoba) Seed Oil, Oenothera Biennis (Evening Primrose) Oil, Tocopheryl Acetate, Fragrance, Mica, CI 77019, Silica, Retinyl Palmitate Proplyparaben, Titanium Dioxide, CI 77891.